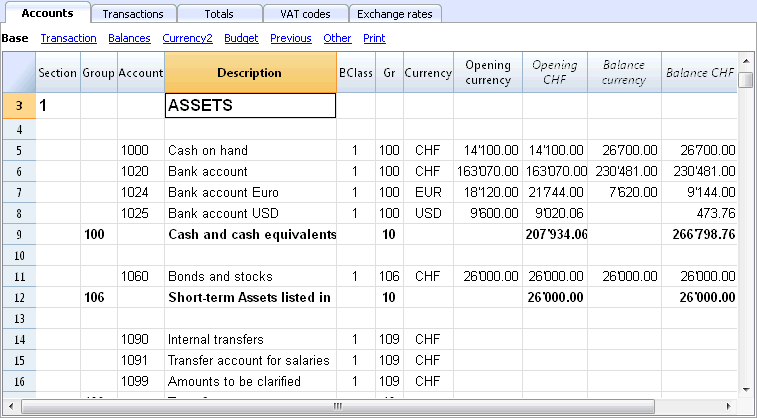 Here we explain how to start an accounting, starting from an existing template included in the program. 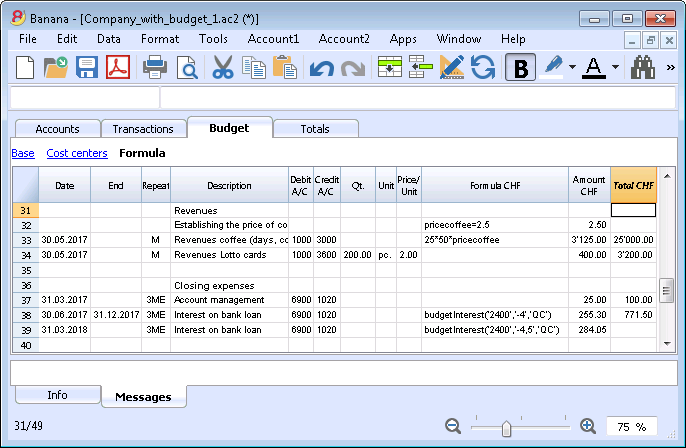 Select the language and the country for the templates. 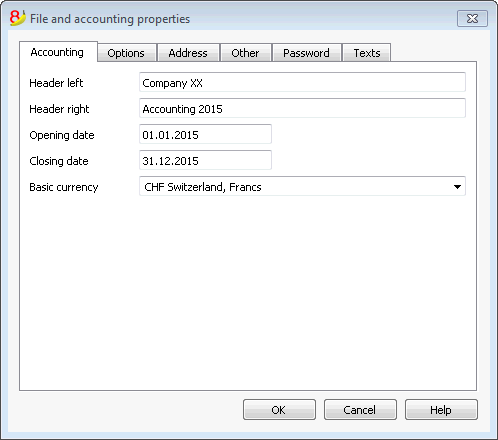 Indicate the company name that will appear in the headers of the printouts and on the other data. 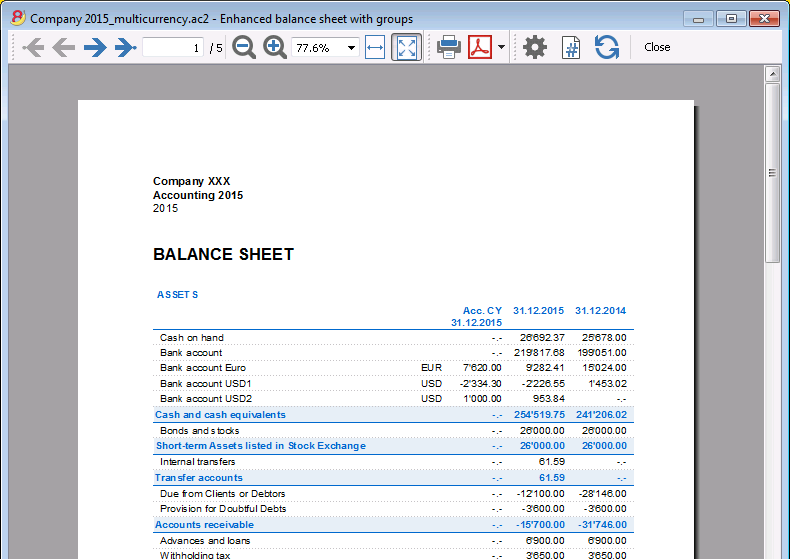 The multicurrency transactions have to be entered into the Transactions table; together they compose the Journal. For more details, consult the page Period. For more details, consult the page Account Card. 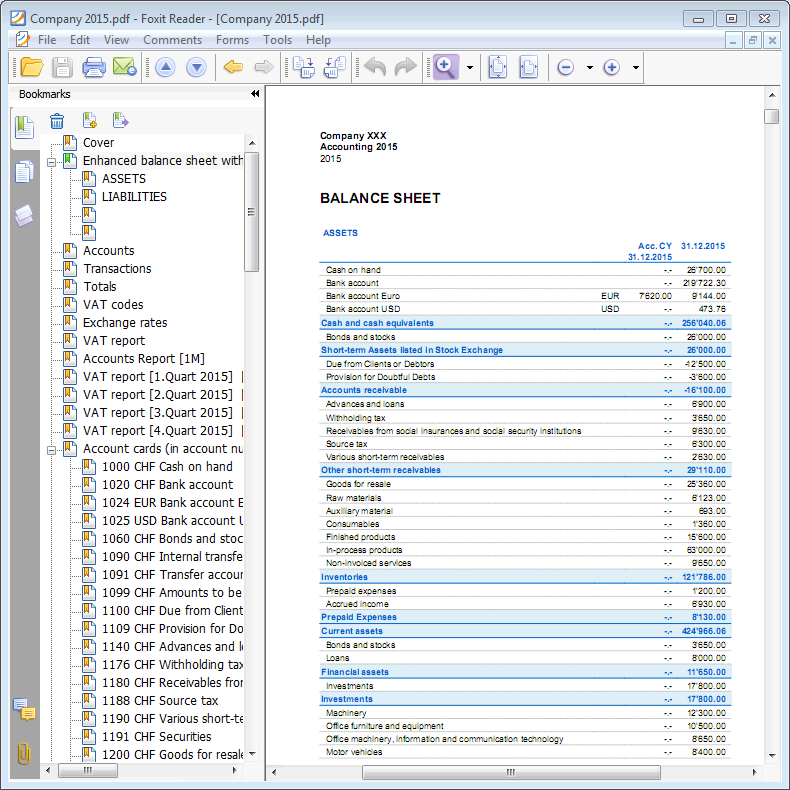 The display and the printing of the Balance Sheet is being executed from the Account1 menu, commands Enhanced Balance Sheet or Enhanced Balance Sheet with groups. For more details, consult the Budget page.